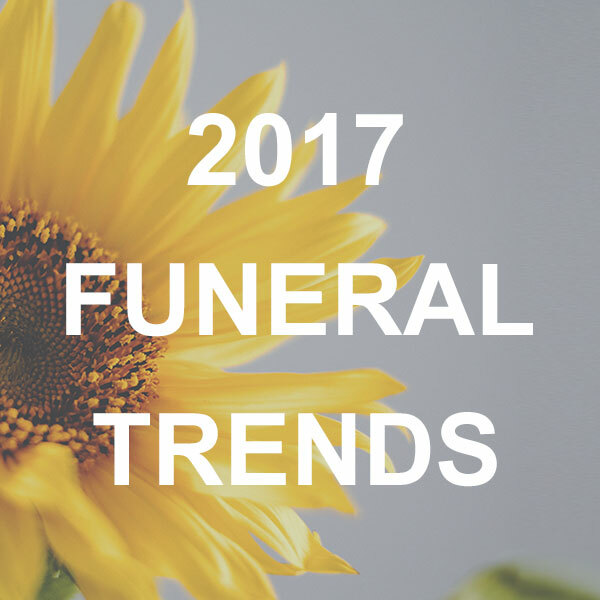 As the new year kicks off, here are the 2017 Funeral Trends of note. At the end you’ll find some tips (for both consumers and funeral professionals) to make the most of these trends in making final arrangements, planning funerals, and hosting memorial services. As funeral trends have moved away from staid traditionalism, personalization of the funeral service has become the new norm. This isn’t news to anyone in the funeral industry, but, if you’re a funeral professional, awareness of what your clients want is the key to providing exceptional service. If you’re a family member planning or arranging a funeral, this is a good trend to take into account while you’re thinking about what you want. You have the freedom to choose exactly which products and services you think fit best with your needs and the individual. Plus, with time and research, you can find just about any product you can imagine, from plantable cremation urns that grow a tree to NFL team-themed designer coffins. Direct cremation is the most affordable mainstream disposition option. It’s affordable because all the body preparation and full-body funeral service options are simply bypassed – the body of the decedent is cremated “directly” after death. The “direct” part makes this a very low-cost options, and that’s why you’ll hear about it more and more as an emerging mainstream funeral trend. The advantage of this option, aside from the immediate savings, is that the family can hold on to the remains until memorial service, scattering, or funeral arrangements can be made. 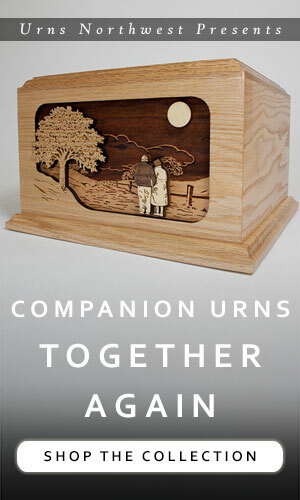 This allows time for a custom cremation urn to be built, travel arrangements made, charter boat for ocean scattering to be arranged, chapel or community center to be rented, etc. More about direct cremation: What is Direct Cremation? As consumers have become more aware of the effect we humans have on the environment, eco-friendly and sustainable options have come to be a priority for many. This trend has been felt in the funeral industry, with the rise of green burial practices, eco-friendly cremation urns and caskets, and a growing sensitivity towards to issues regarding waste, renewal, and sustainability. The DIY generation is learning how to do funerals at home. Advocates of the movement say it helps the family process their grief, as they are personally involved in taking care of their loved one’s body. It cuts down many of the common funeral costs. And it can be much more eco-friendly, with simple freezer packs used to cool the body and slow down decomposition in place of embalming. Help-at-home services such as Death Midwifery are becomming more commonplace as well, in which a “Death Midwife” helps out with the home funeral in a similar way as a traditional midwife with home birth. Hand-in-hand with the DIY trend is the natural, earth-and-humanity-conscious trend. No more formaldehyde, no more expensive flowers imported from countries with horrible business practices, no more overpriced fancy caskets that just get buried in the ground to waste away. For the final disposition of the body or remains, there are several options. You can use a biodegradable burial urn, an eco-friendly scattering urn, a bamboo casket, or even just an organic cotton burial shroud. The idea behind this funeral trend is to keep it simple, natural, and earth-friendly. As mentioned under “personalization” above, people love to honor their loved one in a unique and creative way. That’s why we’re seeing a huge surge in creative memorials, keepsakes, and sympathy gifts. Perhaps our most popular sympathy gift is a cedar wood bird feeder laser engraved with a personalized inscription and artwork depicting something relevant to the decedent. These catch several trends in one – not only are they personalized and affordable, but they are also made in the USA and have a nature-friendly element because they help sustain the local bird population. Another trend is with cremation jewelry. Fine sterling silver memorials custom engraved with fingerprints are a trending choice, and we also have a wide selection of themes including crosses, hearts, Celtic, military, and much more. There are also many budget-friendly cremation jewelry options available in durable stainless steel; see here for a beautifully curated collection. The digital age comes with many benefits, including the ability to attend events via live stream. For 2017 funeral trends, look for more services that offer professional live streaming for small to medium sized events such as funerals and memorial services. You’ll probably be able to find a streaming service locally by searching in your area. Alternatively, with Periscope, Facebook Live, Google Hangouts, and others combined with the improving quality of smartphone cameras, look for live streaming of funerals via social media to become more and more common. Word of mouth will always be key, whether you’re a family looking for funeral services or a funeral home building and maintaining a reputation. The way that word of mouth recommendations are passed along, however, will change. And it already has – online reviews are more popular than ever, and for many people that is the first thing they look for when contemplating any product, service, restaurant, hotel, etc. Look for more funeral homes to find ways to get local online reviews, and look for more consumers to start their funeral arrangements by looking for online reviews. Community gardens are starting to pop up everywhere. This is a great trend that emphasizes community, eco-consciousness, giving, serving, and of course delicious locally grown and healthy foods. A community garden can become a memorial garden (officially or unofficially) when someone donates land for the purpose, provides a memorial bench for an existing garden, or simply invites friends and family to spend time gardening at the community garden in honor of a loved one. Gardening is a great physical activity that allows you to move at your own pace. It also provides something constructive for a spouse to do after the passing of their loved one. Look for more community memorial garden ideas to come along, including compost-based renewal, special gardens for the scattering of ashes, memorial flower gardens, memorial vegetable gardens, front lawn gardens, and more. For these reasons and many others, advance planning is an important option for smart consumers. With an already-tight economy and the increase in Baby-Boomer generation retirees, look for many families and individuals to start advance planning in 2017 for their eventual need of funeral services. 432 pages, a thorough and highly-reviewed resource book for advance planning. 256 pages, trade paperback resource and guide written by a venture capitalist and lawyer who “made a series of agonizing and costly mistakes in squaring away her affairs.” This book is his guide to help you avoid doing the same. This certainly isn’t a new funeral trend for 2017, but it’s going to be more and more normalized. Every generation is getting more adept at using the internet, and especially so via smartphone. Families aren’t going to be shy about pulling out their phones and shopping for better deals, so the trick – for funeral professionals and consumers alike – is going to be finding the best ways to utilize online shopping together. For funeral homes, this will mean keeping your prices fair and competitive while realizing you’ll gain back what you lose in immediate revenue by the low cost of social sharing and advertising. Be open and let your clients know they are welcome to research further online. You can use this as an opportunity to showcase your knowledge, experience, and local understanding against the generic content of the internet. Doing so allows clients and families to truly value the services you provide. For families, this means telling the funeral home staff that you found their listing online, keeping off your phone when it’s respecful to do so, and responding to the funeral home’s review requests or social media content. You should also be aware that you are not required to buy everything through the funeral home; if you find something different or at a lower price online, you are legally entitled to purchase the cremation urn, casket, or other product and bring it to the funeral home to use. You may find that more funeral homes are pricing their cremation urns and caskets at comparable prices to online retailers, and that this saves you the time and trouble of ordering and waiting for delivery. Look for funeral homes to provide many resources on their websites, or collect and curate resources from around the web. Crowdfunding funeral costs will remain a longstanding trend, especially in the event of an unexpected death. Fueled by the rise of Kickstarter and GoFundMe, there are many options for family and friends to raise money to help cover the funeral costs of a loved one. GoFundMe – One of the most popular and familiar sites for crowdfunding. Thousands of funerals and legacy funds have been created through this platform. Treasured Memories – Crowdfunding network designed specifically for funding of funeral and memorial costs. YouCaring – A platform designed for compassionate giving towards worthwhile causes, YouCaring does not take a commission as most other sites do. The only cost is the standard credit card processing fee, which is usually around 3%. Get a subscription music service, such as Spotify, Google Play, Amazon Music, or Apple Music. This will give you the ability to personalize music for any service, and also add a comforting ambiance when the family is there to work on the funeral arrangements. Create an app for your funeral home. More and more, everyone stays connected through their smartphones and they will be expecting your funeral home to do the same. The Funeral Planner is a good resource. Look into other web services. There are many online platforms that can provide you with a creative service, such as hosting memorial websites, video streaming, follow up with review requests, and much more. Look into other local services. People love local. Contract with local video editing and production teams, funeral photographers, caterers, florists, urn and casket makers, and others to add a local flavor to your services. Offer home funeral guidance. If the home funeral trend really takes off, wouldn’t you rather benefit from it? Don’t be the cranky old business that resents customers buying things on the internet – adapt! You are the professional, you have a breadth of useful knowledge and skill, and you want to help people in a time of need. Create an affordable home funeral assistance program that includes a guidebook, a few recommended products, and a meeting with a funeral director. Send your interns or trainees to help. Offer the hearse, your reception area, direct cremation, etc. 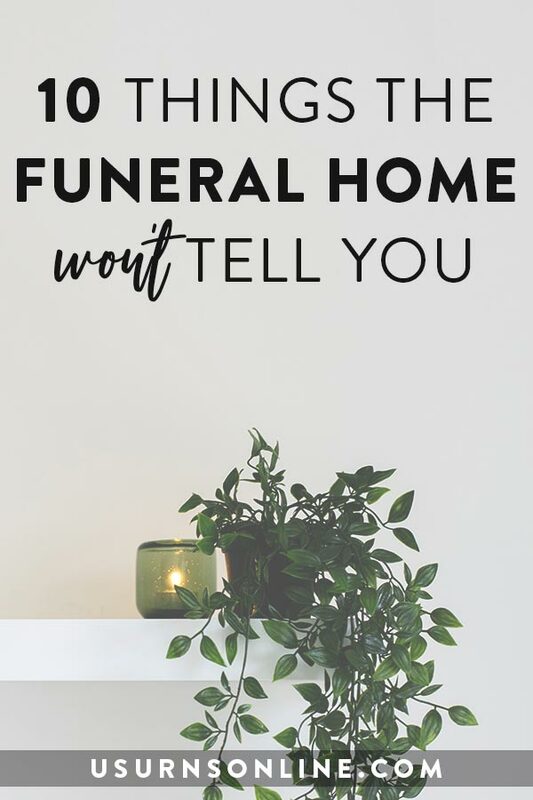 There are many ways you can effectively become involved in the home funeral trend, and while it will be a small revenue stream, that’s better than none, and your reputation will improve immensely. Read and research. Subscribe to industry magazines and periodicals, such as the American Funeral Director, Funeral Business Advisor, Funeral Director Monthly UK, and Southern Funeral Directors. Sign up for our monthly newsletter, which features industry news along with interesting ideas, products, and inspiration. Read up on the funeral practices of other religions and cultures, especially if you find your local demographics are shifting. Find creative new products to stock. 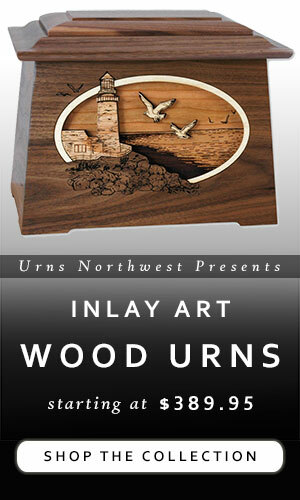 There are thousands of new and trendy funeral products out there. People will be looking for them, so if you can keep on hand some competitively-priced memorial tree urns, biodegradable balloons or floating paper lanterns, have a deal with a local printer to print funeral invitations (“shop local!”), etc., your families will see you as an advocate rather than an adversary. Be open to new possibilities. As many consumers are getting more web-savvy, in combination with larger economic trends, many funeral homes are considering alternative revenue streams. Perhaps this will mean having list of trusted online retailers you can email to customers, and make up for lower urn and casket sales by arranging for referral commissions with local urn artists and casket makers. Team up with food trucks to cater for “life celebration” events, rent out the property as a wedding venue, or build a back porch and gazebo for BBQ memorial receptions in the summer months. Be aware of your rights. Read up on the FTC’s Funeral Rule and the helpful articles on the Funeral Consumers Alliance. DIY what you can. There are tons of online resources for DIY, which will get you involved and save you money. Let the professionals do their thing. The professionals, such as the funeral home, cemetery, and crematorium staff, know what they’re doing. If you don’t know or aren’t comforable doing something, by all means have the pros do it. And remember to thank them! Don’t go overboard. One of our all-time most popular posts talks about shooting remains into the air as fireworks, having a Viking send off, turning ashes into a Frisbee, and more bizarre ideas. But how many people actually do that stuff? 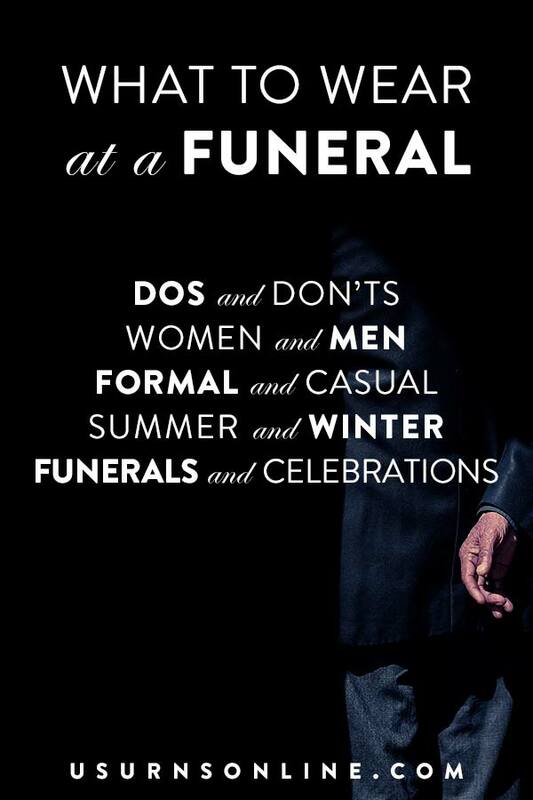 Don’t fall prey to the idea that you need to make the funeral some sort of over-the-top event. True, it is once in a lifetime, but you don’t need to do every unique idea or spend multiple tens of thousands of dollars. Personalize the funeral in one or two small ways, make use of one or two creative alternative ideas, but also remember to keep it simple. Ask about pricing. It’s not cheap or insensitive to your loved one to avoid getting ripped off. Ask about prices, call multiple funeral homes, and shop online. At the same time, the lowest price options are generally low price for a reason. Be sure to compare reviews and reputation when ordering an urn or choosing a funeral home. Remember to emphasize family and friends. Eat together. Share memories. Have an after party or a life celebration event. Make it fun. Don’t be afraid to let it be sad. Grieve together. Invite a ton of people to scatter the remains together. Don’t worry about the wrong color flowers. 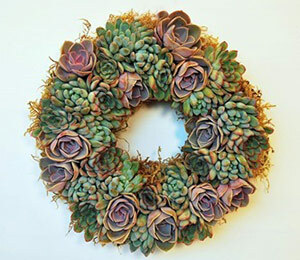 Get everyone involved – crowdsource the memorial scrapbook, throw a potluck reception, have Aunt Etsy Shop make some DIY memorials, have the avid gardener supply flowers, get everyone a memorial cremation ring, memorial bird feeder, or seed packet. What are some 2017 funeral trends that you see on the near horizon? Comment below! Previous post: Is there a regulation as to how large or small a urn can be? Thanks for your comment about how you should look for a funeral serivce that has good reviews. I also like how you said that cremation is a popular option right now. My husband is looking into creation services for his uncle.